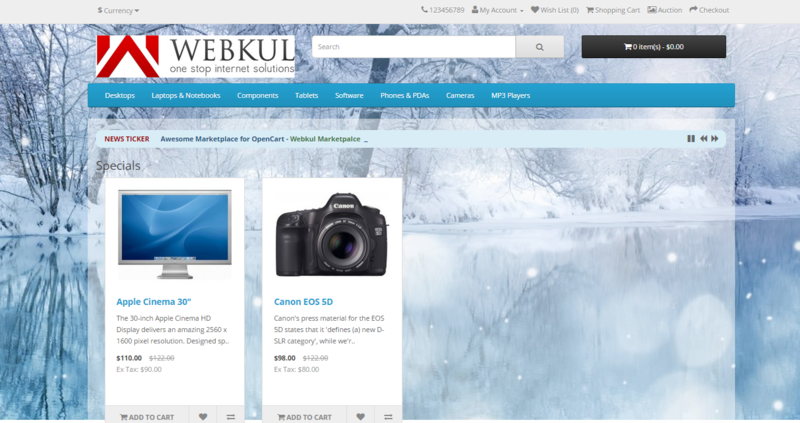 Full page Background Module helps us to display the full-screen slideshow in the Opencart. Add any number of images. Admin can set status, fade speed, duration. Working in all modern browser (IE7+,FF,Chrome,Safari,Opera). Working in all Screen Resolution. Installation of the Opencart module is very simple.In the zip file, you should find 3 folders admin, catalog, and ocmod folders. You just need to move admin and catalog folder into the root directory of your Opencart website. Once you have uploaded the file then login to admin and from catalog section go to Extensions> Extension installer and upload the XML file. The xml file can be found on ocmod folder under module directory. After doing installation go to the module and install Full Page Background module as shown below. Click on edit option you will find below page. Admin can set the status enable or disable and enter the basic information like Fade speed and Duration then save it. Admin can upload the image and remove as well under Extension > Module > Edit. 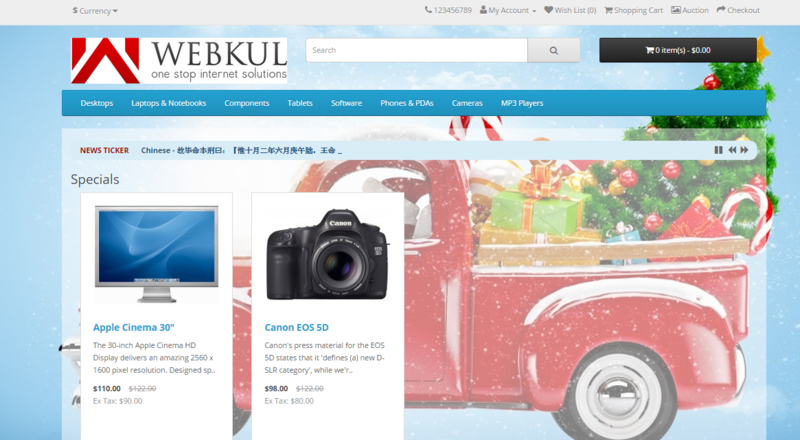 After uploading the image front end looks like this screenshot. If you still have any issue feel free to add a ticket and let us know your views to make the module better https://webkul.uvdesk.com/.